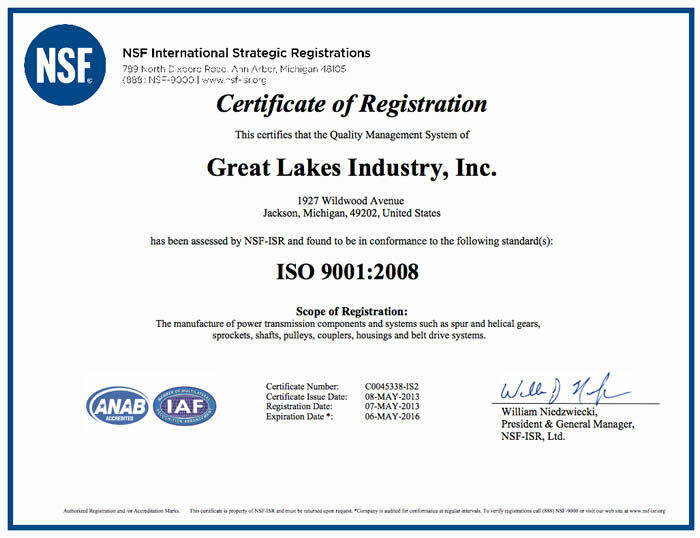 GLI's Quality Management System has been assessed by NSF-ISR and is in conformance to the ISO 9001:2008 standard. This certification is another example of our commitment to providing the highest quality products possible to our valued customers. All content ©2010 Great Lakes Industry, Inc.